Patient is a Europe based Caucasian who underwent a conservative 1080 FUSE grafts to strengthen and even up the hairline. The time difference between before and after pictures is 21 months. The patient has progressed from NW 5 to early NW 6 stage in the interim. 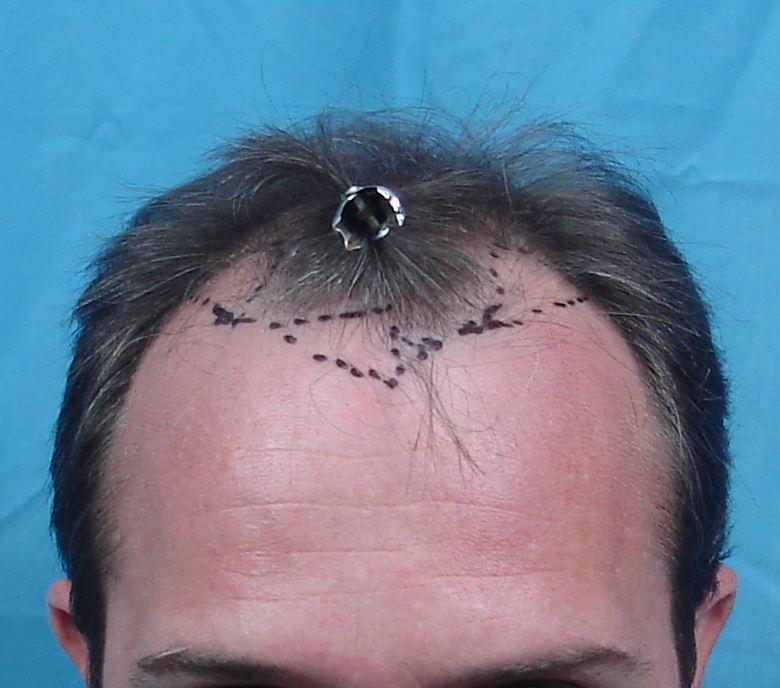 The transplanted hairline grafts are what provide the framing at this stage. He plans to undergo further work for the top and crown areas. The island on his head is going to go. And when it goes, then what? Why did you not shave the island and blend grafts with his existing hair? Why was the V shape chosen? Does he have future plans? If he had a strip surgical hair transplant, what was the reason for only settling for 1000+ grafts? By the way, for such a small number of grafts I think it’s very good coverage. » The time difference between before and after pictures is 21 months. » The patient has progressed from NW 5 to early NW 6 stage in the interim. » stage. He plans to undergo further work for the top and crown areas. » The island on his head is going to go. And when it goes, then what? » Why did you not shave the island and blend grafts with his existing hair? » Why was the V shape chosen? » Does he have future plans? » settling for 1000+ grafts? MJ, FUSE is FUE. Also they mention the comments below. I would be very interested to know what density this transplant is. It seems to sit just at the minimum for coverage which is a good number to get a feel for. I know thiungs vary with hair characteristics but all the same I would like to know. The patient’s choice has to figure in the hair transplant. He wanted to wait and see before going into existing hair. He is happy with the growth and plans for future work in other areas.